If you need a API or JASO Spec engine oil and gear oil for your motorbike, you've come to the right place! Both two- and four-stroke gasoline engines are used in motorcycles. The worldwide population of two-stroke motorcycles is much greater than that of four-stroke motorcycles, but global environmental emission regulation has seen a shift toward four-stroke motorcycles. The engines used in motorcycles have significant differences than those used in passenger vehicles. Motorcycle engines are air and water cooled, run at higher temperatures and higher speeds, have greater power density, and typically require engine oils to lubricate clutches and gears in addition to the engine. These and other differences highlight the need for specially formulated oils for motorcycles. The most widely recognized industry standards for two-cycle motorcycle oils are JASO M345, ISO 13738, API TC, and SAE J2116. a. The JASO M345 standard recognizes three levels of low ash two-cycle engine oil (FB, FC, FD, FDI performance levels). 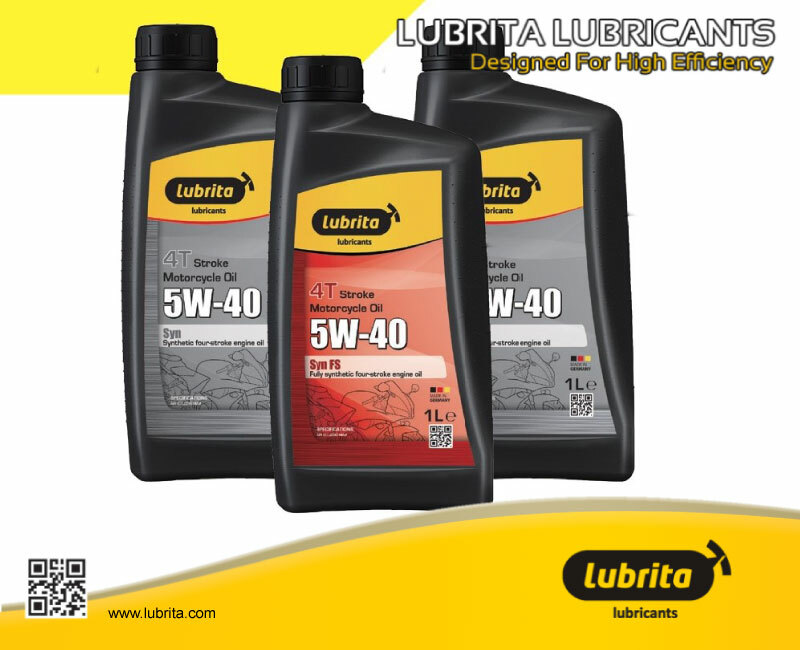 Lubricant performance is assessed against performance criteria such as lubricity, detergency, initial torque, exhaust system blocking, and smoke. The FC and FD grades are the more common as they have stringent smoke requirements that address concerns from major cities particularly in Asia. b. The ISO 13738 standard has established performance criteria, similar to JASO M345, around lubricity, detergency, initial torque, exhaust system blocking, and smoke but has an additional piston skirt deposit criteria. The ISO 13738 standard includes three grades (EGB, EGC, and EGD) that correspond to the JASO M345 grades. The JASO FD and ISO 13738 EGD grades both have greater detergency criteria. c. The API TC two-cycle engine oil classification was established for air-cooled, high-performance engines typically between 200 and 500 cc. Two-cycle engine oils designed for API Classification TC address ring-sticking, preignition, and cylinder scuffing. d. SAE J2116 has established performance criteria around ring sticking, varnish, preignition, exhaust system blocking, and scuffing. For four-cycle motorcycle oils, JASO T403 and ISO 24254 are the recognized industry standards. a. The JASO T403 standard introduced the MA and MB specifications to distinguish between friction-modified and nonfriction-modified engine oils. Most four-stroke motorcycles with wet clutches use a JASO MA oil. The JASO MB oil has the lowest friction specification. The JASO MA and MB oils also typically meet one of the following API Service Categories: SG, SH, SL, SM, or SN. b. The ISO 24254 standard has established EMA and EMB categories that are similar to JASO MA and MB categories. This standard also states that these oils must be of a quality level that is equivalent to one or more of the following specifications: API SJ, SL, SM; ILSAC GF-5; or ACEA A1/B1, A3/B3, A5/B5, C2, C3. For four-cycle motorcycle oils, multigrade oils such as SAE 5W-30, SAE 5W-40, 10W-40 or SAE 20W-50 are the most commonly used, but other grades may also be used. OEM owner’s manuals are the best source for oil recommendations.